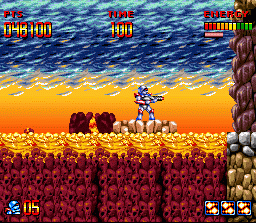 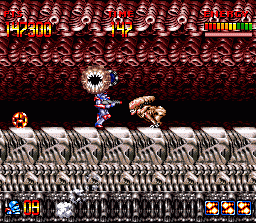 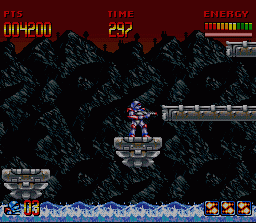 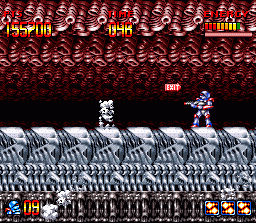 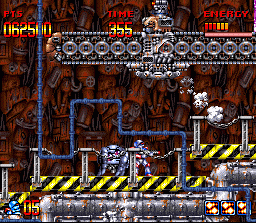 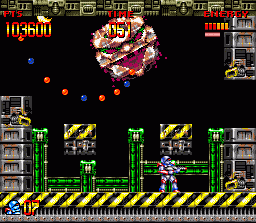 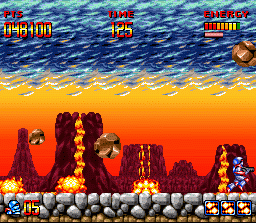 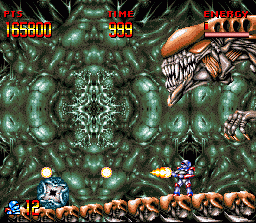 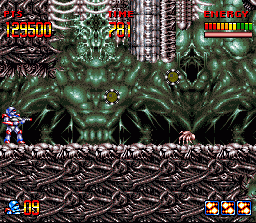 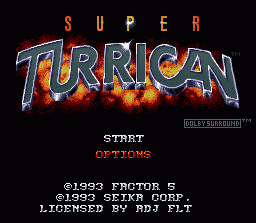 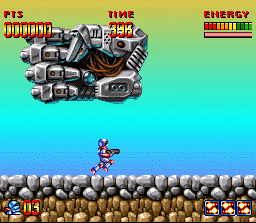 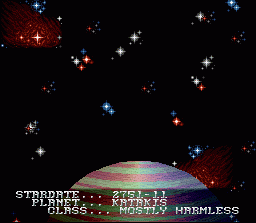 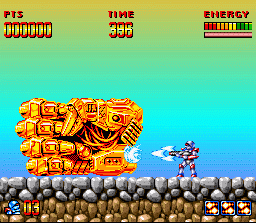 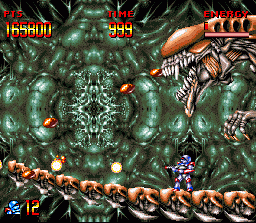 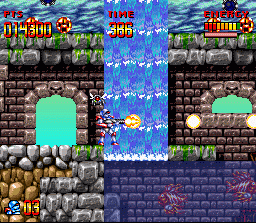 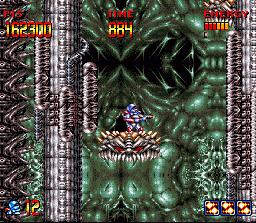 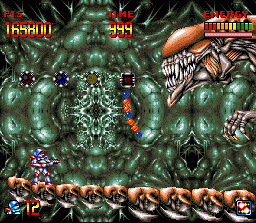 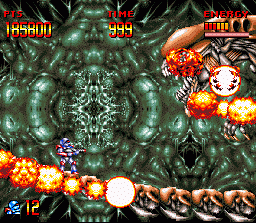 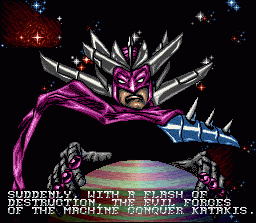 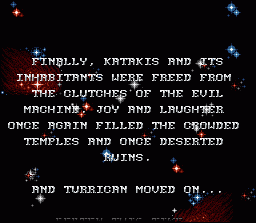 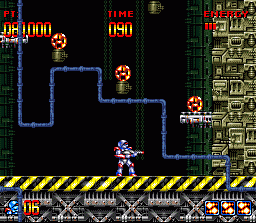 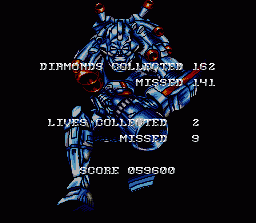 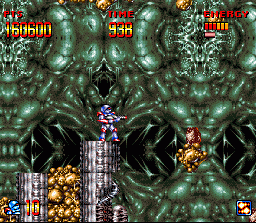 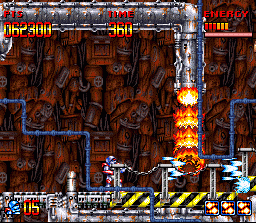 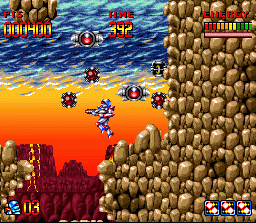 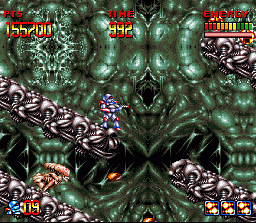 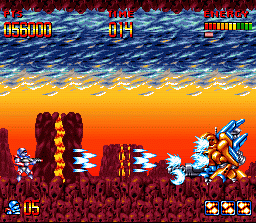 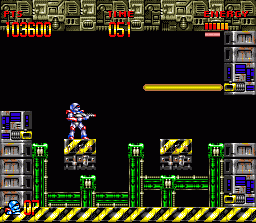 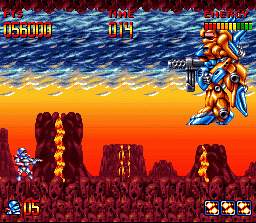 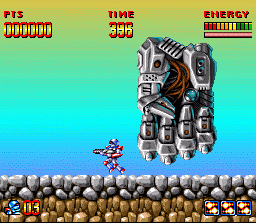 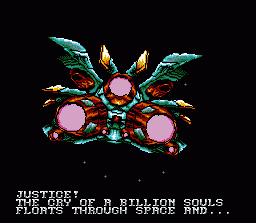 "On a final note about Super Turrican, if you look at the Enemy Gallery in the game manual that can be brought up by pushing the home button on the Wii-Remote, there are several nasty critters in there that you won't find in this official retail version of Super Turrican due to memory constraints. 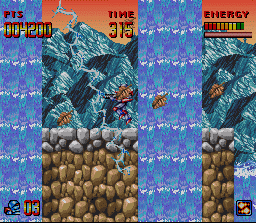 We were told to deliver the game in 4 Mbit (512 KByte), the smallest size cartridge available at the time, after finishing it as a 6 MBit title. 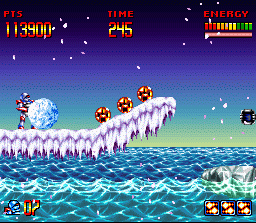 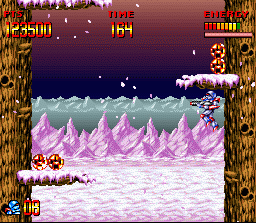 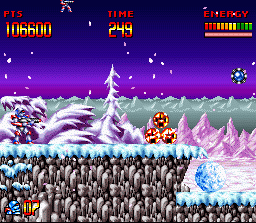 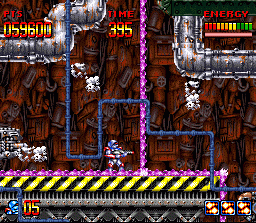 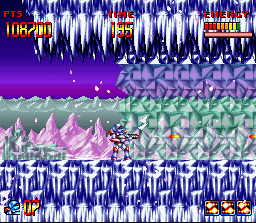 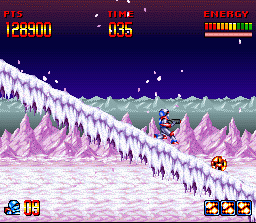 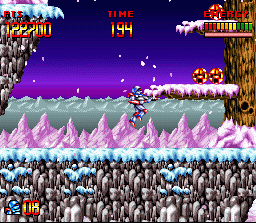 Not only did we have to cut bits of art in several places, but also a full stage and a feature of the new Beam weapon: Not only could it freeze enemies, but also melt frozen ones, something that the player had to discover in the Ice World and that led into a stage set on a Robot Transport hurtling through the clouds. 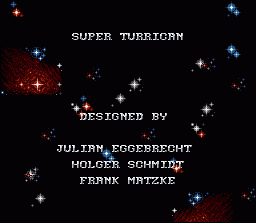 But it wouldn't fit - and thus, somewhere, on a forgotten floppy disk, there still might exist the original Super Turrican - Director's Cut."